Additional to the Preschool, we also offer a Toddler Group, a Breakfast Club, Lunch Club, an After-school Club and our Holiday Club. Please see below or contact us where we will be pleased to discuss your requirements. Every friday during term time we run a village toddler group. Each session is from 1.30 to 3pm at a cost of 50p for 0-6 months, £1.00 6months - 1 year, £2.00 1 year on and £1 per extra child. A member of the Preschool staff sets out and oversees activities for the children to enjoy and crafts to make. The children are encouraged to sit together to have a drink and snack and parents have the chance to have a cuppa too. The Preschool has a fantastic outside area and toys where the children can play, subject to the weather! Toddler Group allows your child to get familiar with the Preschool environment before they are Preschool age, this can help make the transition into Preschool easier. The Breakfast Club runs Monday to Friday between 7.45.am and 8.55am, for children aged 3 to 11. The children will be provided with a healthy nutritional breakfast from a choice of healthy cereals, yoghurt, fromage frais, wholemeal or white toast with a choice of spreads such as jam, marmalade, marmite etc. Fruit juice, milk or water will be offered and then breakfast is followed by a period of play and activities. The children will then be escorted to school. The cost of each session is £5.20 per day or £1.25 (8.30am-8.50am). If you wish to book your child in please ask Nicky King for a registration form, where more details will be taken of your child's dietary issues, emergency numbers etc. The Breakfast Club is led by qualified staff that are first aid and food hygiene trained. We intend to occasionally have a "special" breakfast morning with the menu chosen by the children. The Afterschool club has been running since September 2005. The club is registered and approved by OFSTED under the requirements of the Childrens Act 1989. It runs Monday to Friday during term-time. Children will be cared for in a warm and friendly environment with arts and crafts, reading, homework, table-top games and weather permitting outdoor games and pursuits. Staff pick up from Copdock Primary School, Tattingstone Primary School and Bentley Primary School. Children are under the careful supervision of trained staff who look after their welfare and make sure that time at the club is both enriching and enjoyable. 3.15pm-4.30pm - A snack and activities are provided at a cost of £6.20 per child. 3.15pm-6.00pm - A snack, activities and a cooked meal are provided at a cost of £11.00 per child. Collection from Bentley Primary School and Tattingstone Primary School is also available at a cost of £14.50 per child. A weekly menu plan will be displayed and each week will see a different menu to ensure interest and variety. 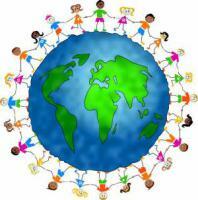 The menus reflect a diversity of cultures, enhancing children's experiences of the wider world. Children are respected and accommodated with regard to individual dietary requirements whether medically, culturally or religiously based. Please contact 01473 731047 for more information and a pack. The Holiday club runs every school holiday. Opening times are from 8.00am-6.00pm with the option of a half or part day sessions. The club will be closed the first week of August every year. Fees are £26.50 for a full day, £22.50 for 8.00am to 4.00pm and £14.50 for a half day and include a healthy breakfast, morning and afternoon snacks and a cooked tea; children shall be required to bring a packed lunch. 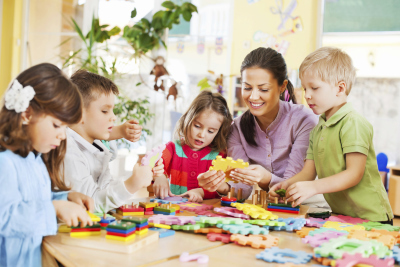 We also accept Preschool aged children at a cost of £4.20 per hour to accomodate staff ratios. The club is Ofsted registered, run by qualified staff from Copdock Preschool and held in the Preschool building. The club is a fun play environment different from school. All activities are supervised and include art and craft, games, painting, cooking, reading and much more! Policies and Procedures are available on request.